Many hoteliers tend to think pre-stay communication isn’t really that important – the guest has booked, their business is secured, the real focus comes while they’re actually at the hotel. Right? 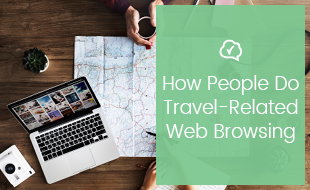 The true guest experience starts the moment they book a room, not at the front desk. Effective communication with your guests before they arrive can help drastically improve the quality of their stay, ultimately turning them into repeat customers and ambassadors for your brand. Are you giving your guests a room or an experience? With the right approach, you’ll be able to gather information to personalise their experience, upsell on promotions and deals, and gather important demographic data to help define future marketing campaigns. We’ve outlined five quick and effective strategies you can use to give your guests five-star treatment before they even arrive. A booking confirmation email is one of the basics of communication during the pre-stay period, and even if you choose to do nothing else before your guest arrives, all hoteliers should be sending one. Your pre-stay email allows you to you to share more information, include attached documents, as well as links to your website and social media channels. Include a personalised, friendly message thanking the guest for choosing your hotel, and confirm that their booking was successful. Include links to any value-added services, upgrades or deals applicable during their stay. Be sure to also point guests to your social media channels, encouraging them to get in touch at any time with concerns or requests. 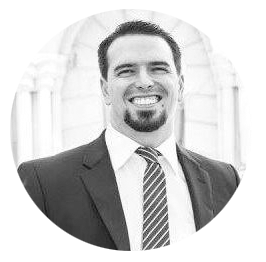 Be succinct, you don't want to bombard your guest with too much information at once. It’s important to consider that many hotel bookings are made via smartphone. A 2016 study by Criteo showed that nearly 52% of hotel bookings in the US were made via smartphone, while a report from ComScore and Expedia Media Solutions showed that 57% of UK users prefer booking with a smartphone over other devices, so make sure your communication is mobile friendly. If you have a number of value-added services that guests are able to choose from, a customised pre-stay questionnaire can provide a great engagement platform. Ideally, this should be sent a few days after the booking is made, and should explain to the guest that your hotel would love to do everything possible to make their stay a more enjoyable one. Would they like a foam or feather pillow? Any special entertainment requests for children? Would they like to take part in any listed tourist activities? Would they want to take advantage of breakfast and dinner specials? Do they need airport transportation or a private car? Would they like in-room deliveries of flowers, fresh fruit or champagne? This is a great way to personalise a guest's stay, and make them feel like they are more than just a paycheck to you. “As a single mom of two young kids, nothing is more helpful than arriving to Frozen in the DVD player, milk in the fridge and bananas on the counter for a snack (next to a shot of local whiskey for me),” says Kris Getzie, Founder and Principal Consultant at Volo. Two days before your guest arrives, send them a simple text message saying you look forward to hosting them, and reminding them of any particulars that you may have arranged, such as early checkin or airport pickup (not that they’ll necessarily need it, but it shows you care). Remind them that they can still get in touch should they have any requests. Include a link to your property’s location on Google Maps, allowing them to easily navigate from wherever they need to using their phones. Remember though... there are pros and cons to texting your guests. When people have a pressing concern or question, waiting days for a reply can be tedious. Having a dedicated live chat system on your website allows guests to make inquiries in real time, and shows that your hotel cares enough to help them instantly. Let guests know about this feature in your initial communications. Social media channels like Facebook, Instagram and Twitter provide a proactive platform to share news and promotions, and a reactive platform to field guest queries and concerns. Make sure links to your channels are clear in your pre-stay communications. “We’ve received pre-arrival feedback from guests that their booking decisions were influenced by our engagement on these channels,” said Michelle Catin, social media manager for Palace Resorts in Cozumel, Mexico. If guests do choose to use social media to communicate with you before (or during) their stays, any questions or comments on your social media profiles should be attended to as swiftly as possible, and certainly within 24 hours. Remember that a lot of social media communication is public, so it allows other prospective guests the chance to see how you deal with concerns and queries. Read more advice on effective social media tactics here. By employing these simple strategies into your guest engagement plan, you’ll make them feel like royalty before they even arrive. And that’s half the battle won already. 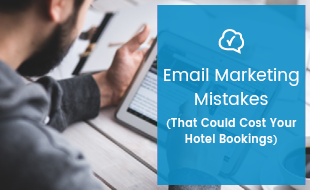 Now that you know how important pre-stay communication can be, make sure that you're not making these email marketing mistakes that could turn a great opportunity into a lost booking. Download our free ebook by clicking on the banner below.